*quietly* rejoice over these amazing supplies. 1. Keep your pens and pencils in this banned book pouch. Because the best books are sometimes the most misunderstood at first. Get it on Amazon for $13.99 or Out of Print for $12. 2. Train to be a librarian using this personal library kit and finally take over the place. This is the best way to make sure you actually get your books back after you lend them out. Get it on Walmart for $10.78. 3. Lug around all your books in style with this adorable giraffe tote. For people who stick their neck out for a good read. Get it on Society6 for $20+ (available in three sizes). 4. 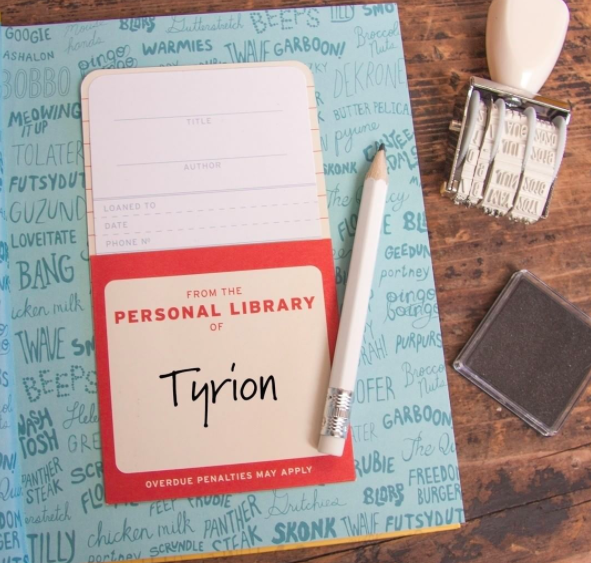 Show off your love of books with this awesome laptop sticker. Get it from kbillustration on Etsy for $3. 5. Keep all your borrowed books in this on-the-nose library card tote bag. 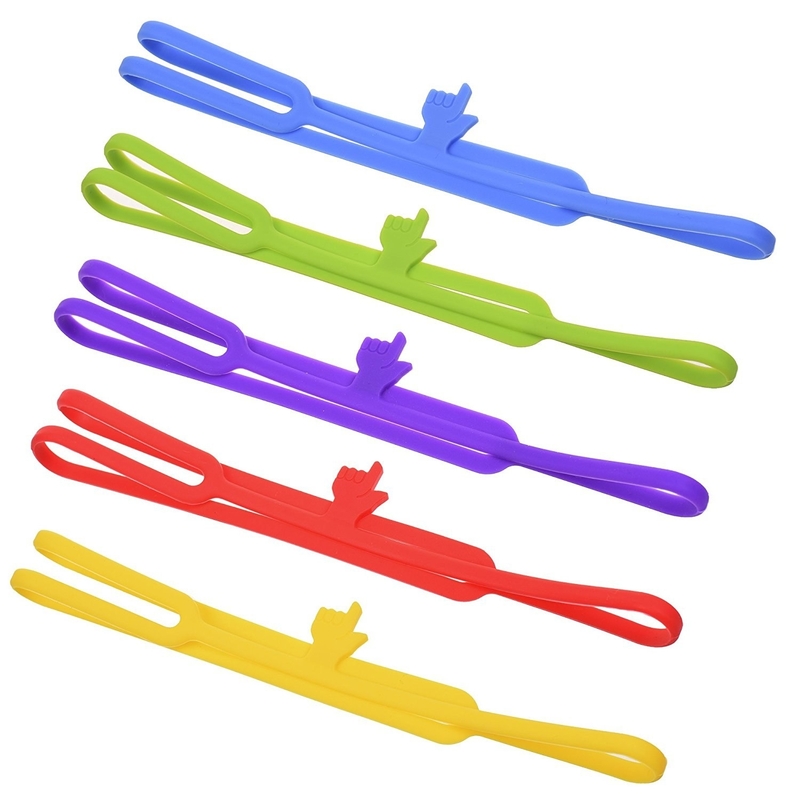 Get it on Amazon for $15.67 (available in four colors). 6. 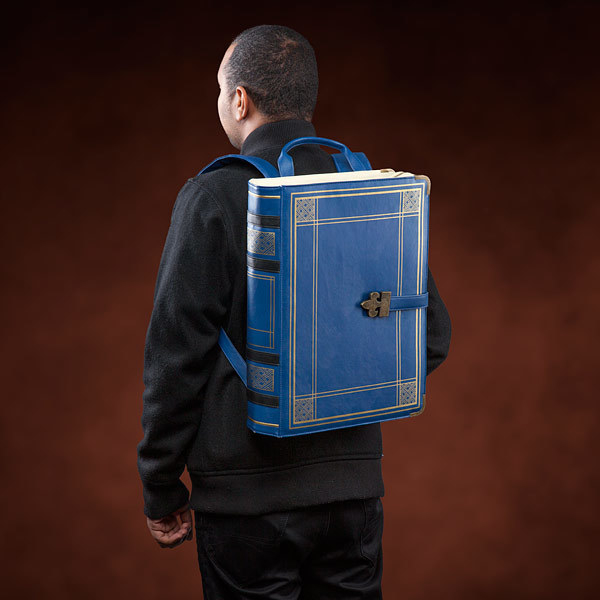 Take things literally with bookbags that actually look like giant books. 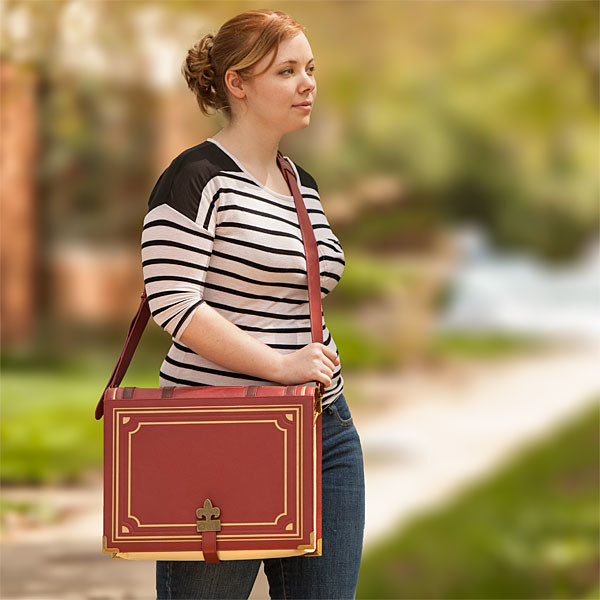 Get the backpack on ThinkGeek for $24.99 or the messenger bag on ThinkGeek for $49.99. 7. Get some reading done even if you get locked in the library overnight by using this miniature reading light. Here's one book you could read. 8. Keep track of house points and Quidditch stats with these Hogwarts notebooks. You'll be headmaster in no time. Get all four on ThinkGeek for $11.99. 9. 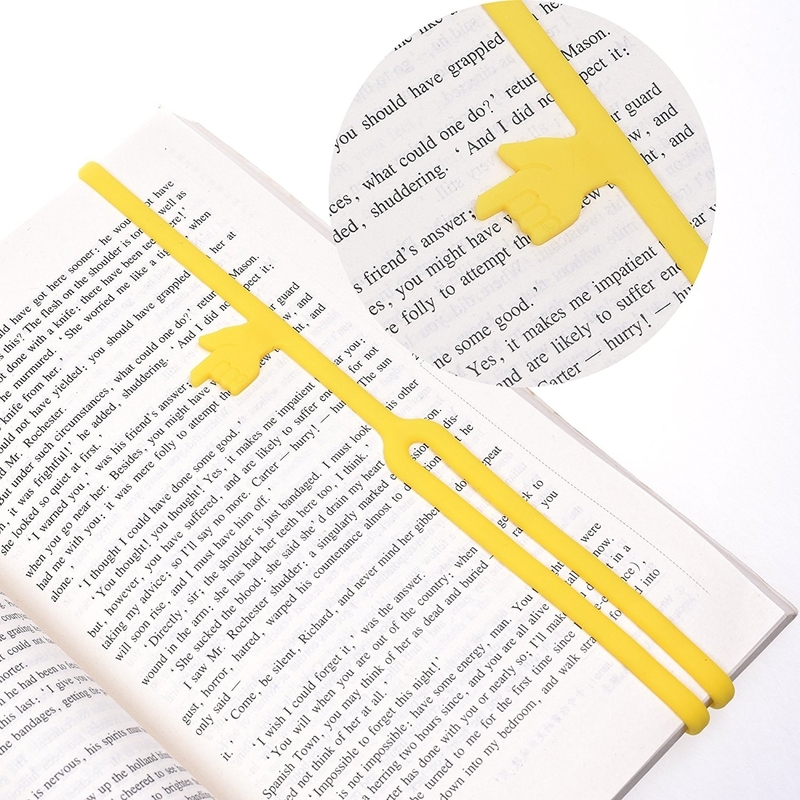 Easily find your place even if you stop mid-page thanks to this pointing bookmark. Getting interrupted while reading is going to happen sometimes so you better be prepared. 10. 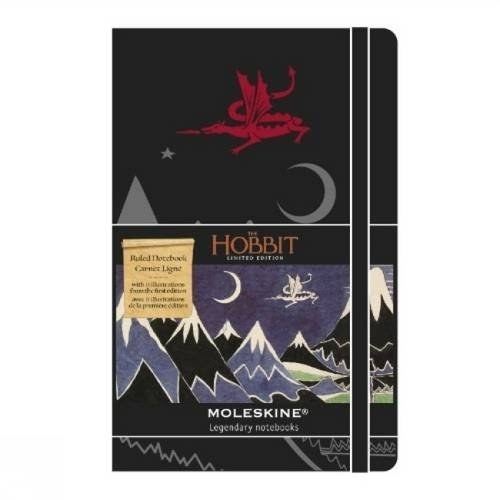 Record your epic adventures in a Hobbit-themed Moleskine. Get it on Amazon for $19.55. 11. Make it look like your books are coming to life with sprout-shaped bookmarks. If books are seeds of knowledge, then they might also just be real seeds because they're sprouting in front of our eyes. Get six on Amazon for $8.35. 12. 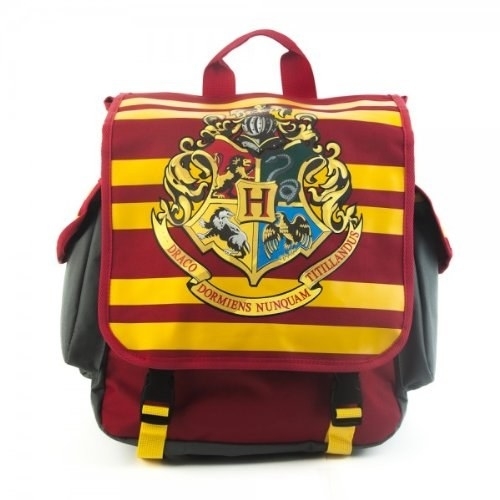 Keep all your spell scrolls organized in this Harry Potter knapsack. 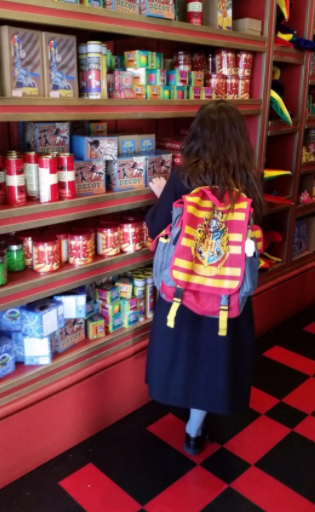 There are even pockets on the side for your wand. 13. Used the now-flat Wicked Witch of the East to mark your place. 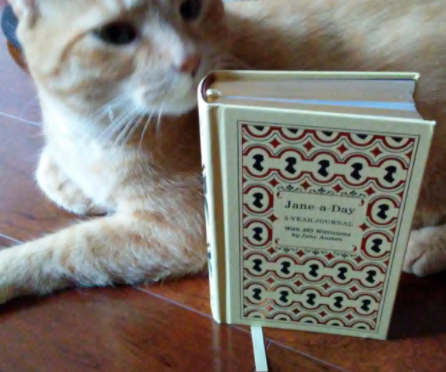 This awesome bookmark will bring the house down. 14. Make your weekly planner more exciting with Harry Potter stickers. Get it from TheLittleStickerShop on Etsy for $3. 15. 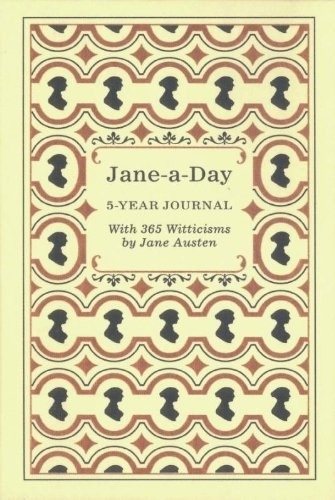 Get inspired with a Jane-a-Day five-year journal. Get it on Amazon for $3.80+ (available in hard and soft cover). 16. 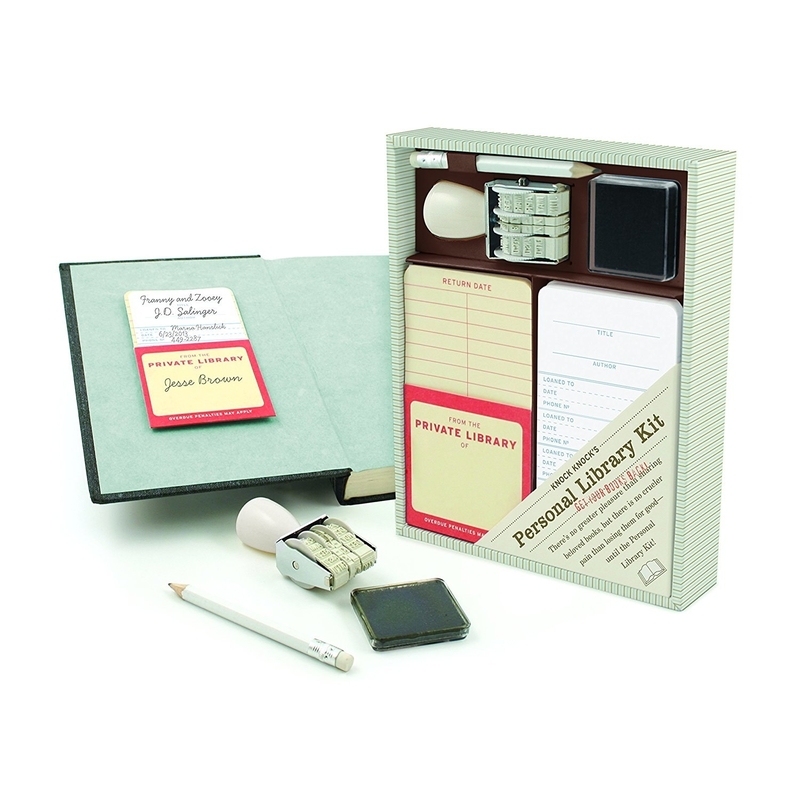 Feel like a real librarian with a customizable stamp. Stamp each one with authority. Get it from papersushi on Etsy for $16. 17. 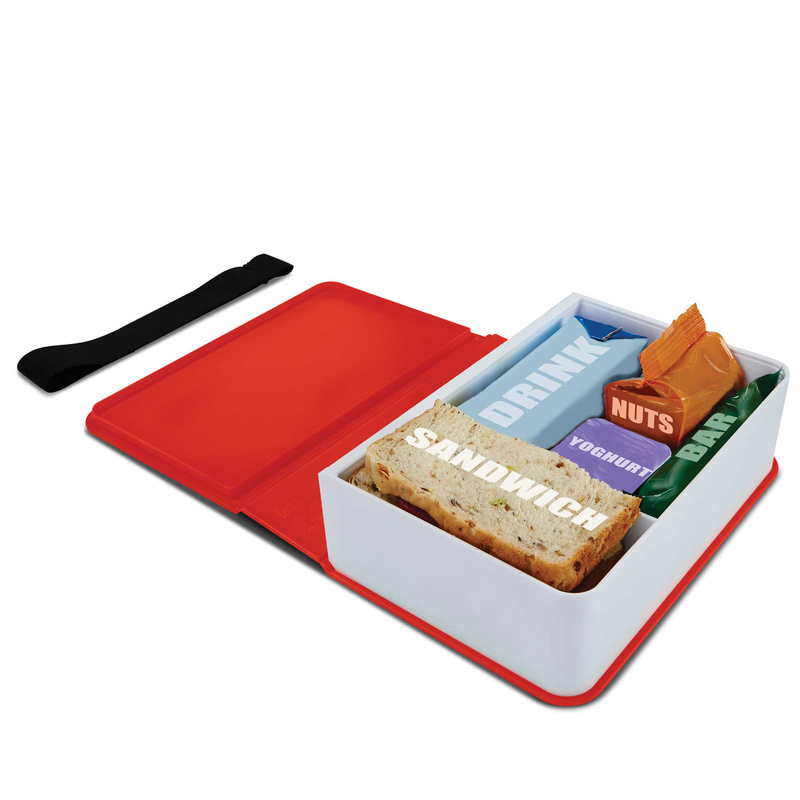 Hide your food in a book-shaped lunchbox to ward off potential food thieves. Store a lunch worth writing about. Get it on Bed Bath and Beyond for $19.99 (available in two colors). 18. Write sonnets, or do some crosswords, using some Shakespeare pencils. Get it from CouldYouPlease on Etsy for $8.50. 19. Make writing more magical with a handy pen shaped like Hermione's wand. Honor one of literature's biggest bookworms. Get it on Amazon for $8.50. 20. 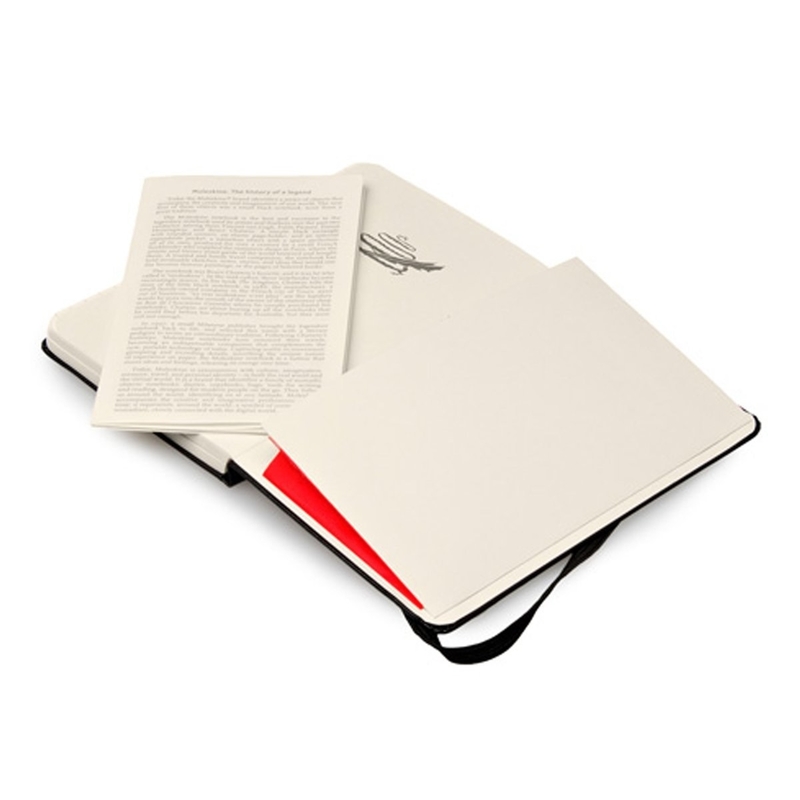 Celebrate all that time spent in the library on Buffy the Vampire Slayer with this spiral notebook. Get it from jonzes on Redbubble for $12. 21. Cover everything you own in this wonderful book washi tape. Cover your books with more books! It's books all the way down. Get it from iluvdesign on Etsy for $3.55. 22. Make sure all your books have proper flair with some owly bookplates. Make all your books extra fancy with some old-school book plates. Get 20 from BookplateInk on Etsy for $8. 23. Keep tabs on your next hot air balloon trip with these Wizard of Oz sticky notes. For people who think there's no place like school. 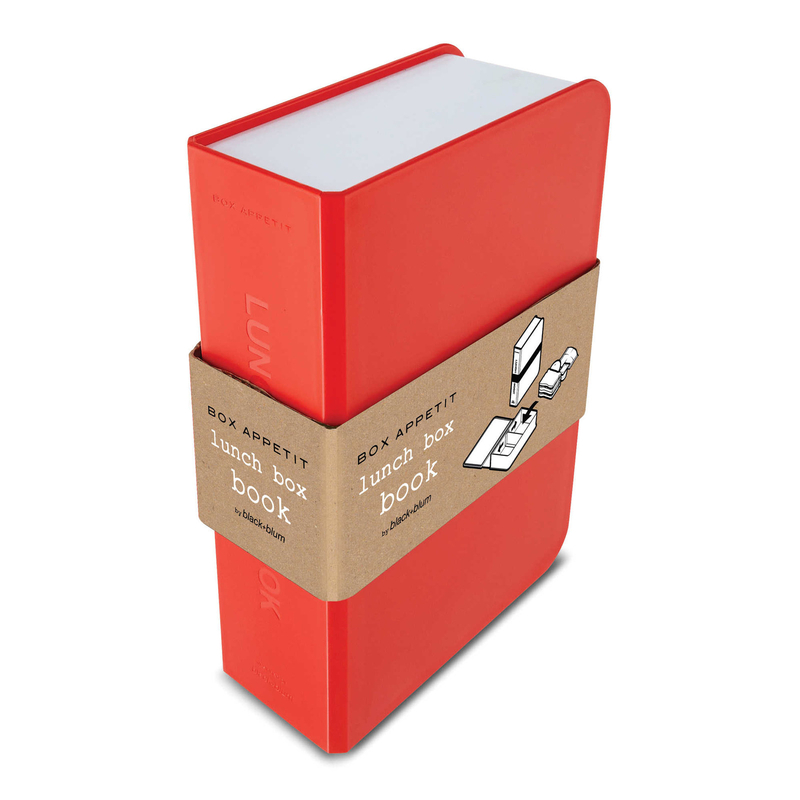 These book products are worth singing about.